WWE Hell in a Cell 2017 took place on October 8th from Little Caesars Arena in Detroit, Michigan. The event consisted of eight matches. One of these took place on the event’s Kick Off. 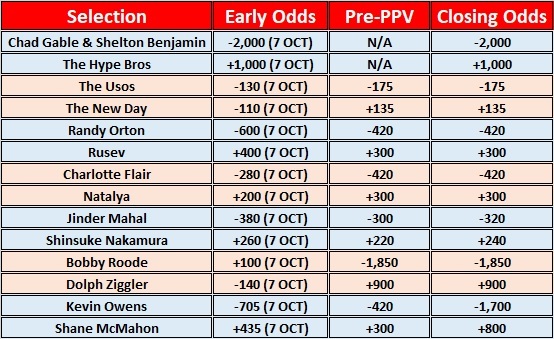 *5Dimes had a market for AJ Styles .vs. Baron Corbin match. However, with Tye Dillinger being added, the sportsbook voided all wagers on the bout.